Every year, on the occasion of Indiaâ€™s Independence Day, New York City witnesses the largest fun-filled â€œIndia Day Paradeâ€. The parade, which is in fact an expression of public celebration of Independence Day, is convened each year by an umbrella organization called Federation of Indian Association (FIA). 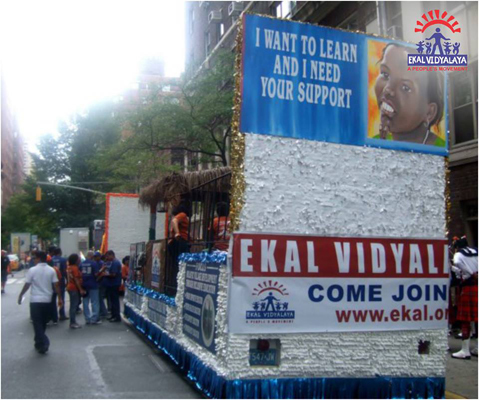 This parade had special significance to Ekal Vidyalaya Foundation, USA, while marching in the parade, the volunteers, from time to time also resorted to loud slogan: Sponsor a school, Dollar a day, in unison. 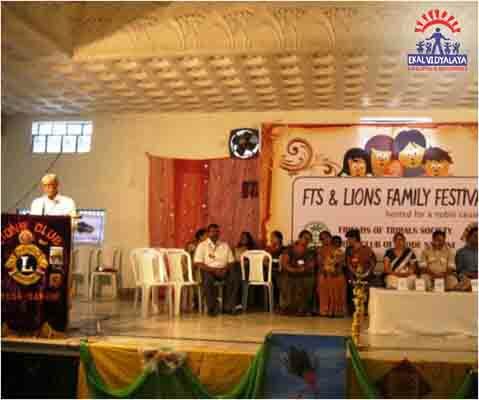 Annual Volunteers' Conference of Ekal Nepal was held in Pokhra (Nepal) from 12 to 15 August, 2016. The conference was attended by about 220 Ekal Seva Vrati Karyakartas of Vidyalaya and Hari Katha from all over Nepal and Acharyas from few local Sanch. 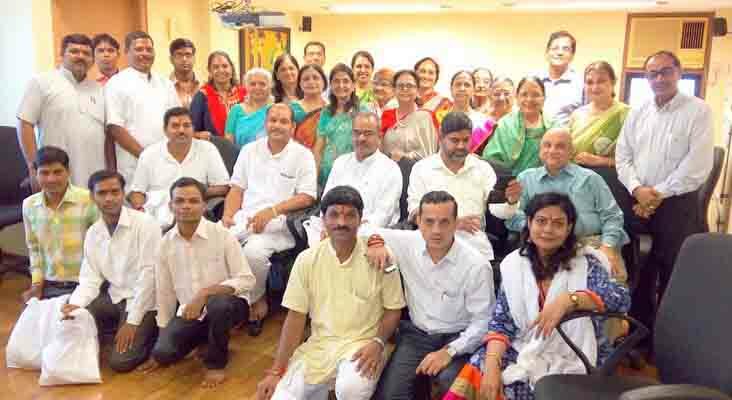 The Nagar Sangthan was represented by 62 supporters and their family members from Europe, Gulf and India, notably among them were S/Shri Ramesh Jain from Germany, Bitthal Maheshwari from Italy, Anil Puri from UK, Mahendra Derewala from Jaipur, Mahesh Dev Bhai from Gulf and Hitesh Bhai from Mumbai. S/Shri Shyam ji Gupt, Bajrang Bagra, Sneh Pal Singh and Ravidev Gupta from Ekal Abhiyan also graced the event. A cultural show was staged by students of Ekal Vidyalayas depicting rich cultural heritage of different Nepalese tribes. A meeting was organised with visiting supporters and local citizens of Pokhra discussing various aspects and growth plans of Ekal working in Nepal. 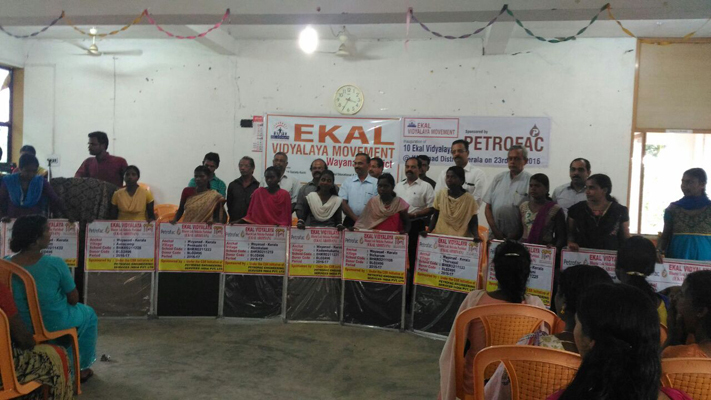 It was planned to enhance Ekal presence from 2100 villages presently to 5000 villages in next 5 years. The supporters from outside Nepal visited 3 different Ekal Vidyalayas in the Anchal. The successful and inspiring event was efficiently managed by a team of Jan Kalyan Pratisthan. Hello! My name is Priya Jhingan. I just turned 16 years old and am going to be a junior in high school this coming fall. I first learned about Ekal at a local event about three years ago. 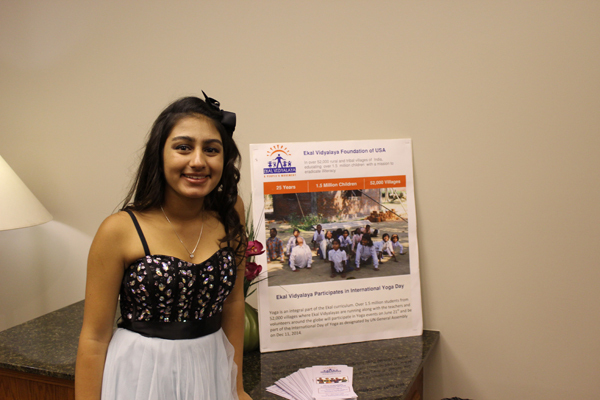 In May 2016, I volunteered at a local fundraiser for Ekal. The event started off with a short video about how Ekal is shaping the future of young children by providing basic education to kids in rural villages in India. I have always had a passion for working with and helping children that do not have the same advantages as I do. By the end of the event, I knew that I wanted to get involved with Ekal. I strongly believe that education is something that people often take for granted. Here school is a part of our daily routine; we have to wake up early and complain about the amount of homework we get. While, on the other side of the world there are children that don’t have access to basic education and they yearn for the homework that we complain about. 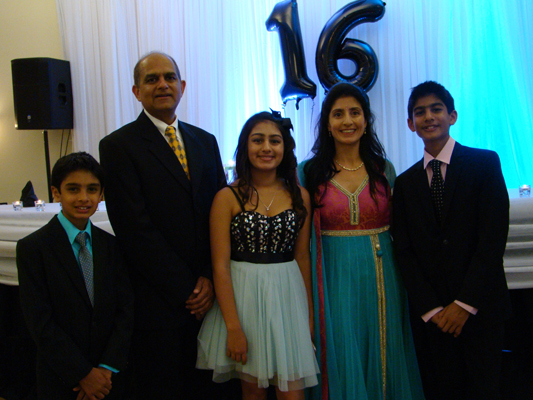 A few days after the Ekal event, it occurred to me that I was having a sweet sixteen and thought why not ask the guest to donate money to Ekal instead of bringing gifts. I told my parents about my idea of raising funds for Ekal and they were very supportive. I am so happy to have been able to raise over $1,600. Later, I found out that my dad’s work matches charitable donations. I am incredibly grateful to have been able to do this. Hopefully, I will be able to visit India and see some of the schools and meet the children who are benefiting from this wonderful organization. I truly hope that this encourages other kids and adults to help this outstanding organization with a worthy cause. My name is Shriya Fruitwala. I am an incoming sophomore at Clear Lake High School in Houston. Ever since I was little, I have been going to India regularly. There, I witnessed poverty in many forms and how children’s lives were void of any opportunity. They were forever stuck in a cycle of child labor and exploitation. In order to break this cycle, children in India need to be presented with more opportunities to learn and receive a proper education. In the United States, opportunity and education are taken for granted. I am lucky to be able to call myself a dancer, figure skater, singer, and violin player with a quality education. This summer on July 23rd, I completed my Bharatanatyam Arangetram. Instead of receiving gifts, I wanted the money to go towards a noble cause, especially towards educating children, so I decided to donate to Ekal Vidyalaya. I am happy to note that with generous donations from the guests, I have been able to raise $3650, which is equivalent to 10 Ekal schools. I thank my parents and my uncle and aunt- Kishor and Kalpana Fruitwala for inspiring me to donate to this great cause. Neeraja Deshpande is a rising sophomore at Arlington High School in Massachusetts. She has been learning Bharatanatyam under Guru Ranjani Saigal since she was six years old. Over the past ten years, Neeraja has also keenly pursued a number of interests including crocheting, art, music, and acting. In addition to these many activities, she has a passion for volunteering and is a Youth Leader for the non-profit organization Ekal Vidyalaya. 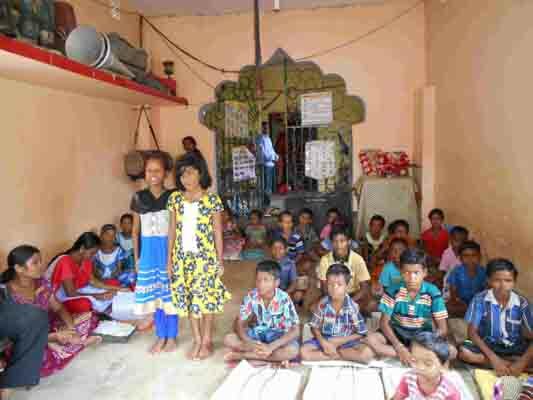 Ekal raises funds for one-teacher schools that provide important access to education for children in the rural villages of India. Neeraja humbly dedicated her Arangetram to Ekal and encouraged guests to donate instead of bringing gifts. Under CSR activity of Petrofac around 200 schools are benefiting. 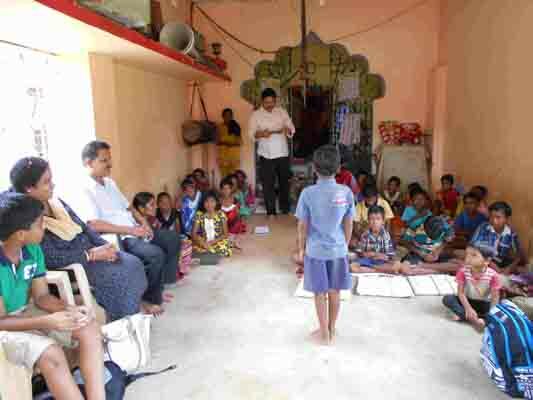 Ten schools in Wayanad, Kerela have been extended the benefit last month. 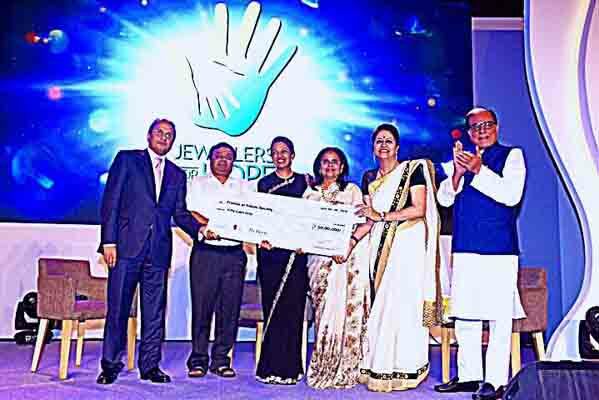 'Jewellers For Hope', an annual charity event was organized by GJEPC and FTS has collected a cheque worth of Rs.50 Lakhs from the event. Saathi Pads started out as a design for a sanitary pad machine in Amrita Saigal’s senior design class at MIT in 2012 — the idea was to create a blueprint for a low-cost method of manufacturing sanitary pads, to promote access to the product for women across India. “Saathi, which means ‘companion’ in Hindi, signifies that the pads are a companion to women that use them and also to the earth,” says Kagetsu, a native New Yorker, and the sole member of the four-member co-founding team along with Amrita Saigal, Grace Kane and Zachary Rose — all MIT graduates, based at the company’s manufacturing headquarters in Ahmedabad. That new product is the Saathi Pads that are about to be launched a part of the company’s #onemillionpads program. This will see distribution of a million pads to women in the states of Jharkhand and Rajasthan in conjunction with Delhi-based NGO Ekal Vidayalaya, who will help educate rural women on menstrual health. Key to the project was creating an environmentally friendly, non-toxic product. Disposable pads, as most of the world knows them today, are made using non-biodegradable plastics, chemical toxins and bleaches, and do not decompose in landfills. The Saathi Pads are made entirely of banana fiber, an absorbent and abundant waste-material – the banana tree grows fruit once and then sheds its leaves. 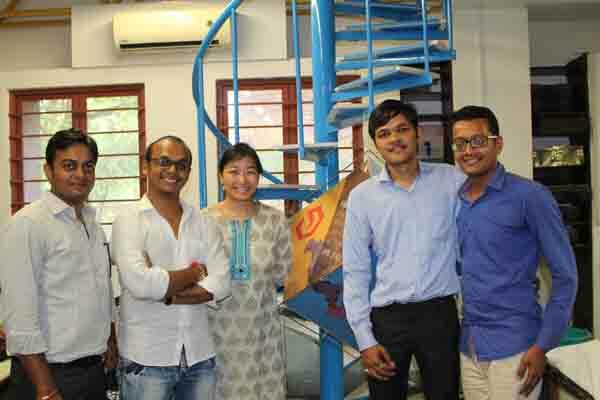 The team has created a new income source for farmers by buying waste banana fiber from them. Ekal carnival was organized in Luknow at Global Park. The one day program had 35 stalls, and competitions were conducted with prizes to be won. FTS Mumbai members together with Mahila Samiti and Ekal Karyakartas celebrated Independence Day, 15th August with Ma. Shri Madhwendraji at FTS office. Similarly, Surat chapter, celebrated independence day too. 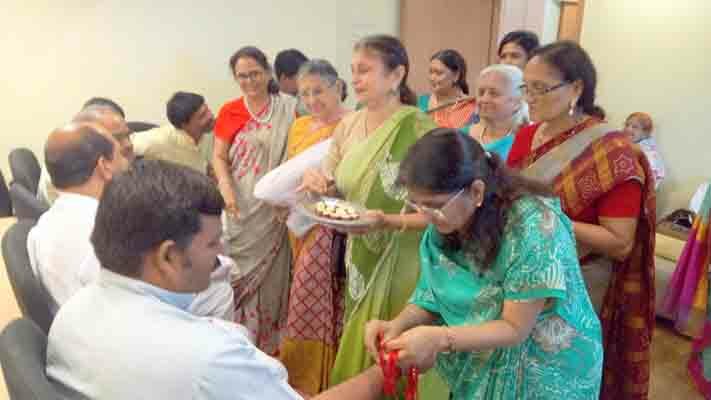 FTS Mumbai members and MahilaSamiti celebrated Rakshabandhan festival with Ma. Shri Madhwendraji and Ekal Karyakartas at FTS office. Gifts and sweets were lovingly distributed to all followed by scrumptious lunch served by Mahila Samiti. Rakasha bandhan was also celebrated in other places such as Karikarm Anchal, Amritsar Sanch patti, FTS Bhopal Mahila Samiti of Raisen Anchal & Bhag / Sambhag Madhyabharat and Jaipur Mahila Samiti in Alwaranchal Ekal Vidyalaya. 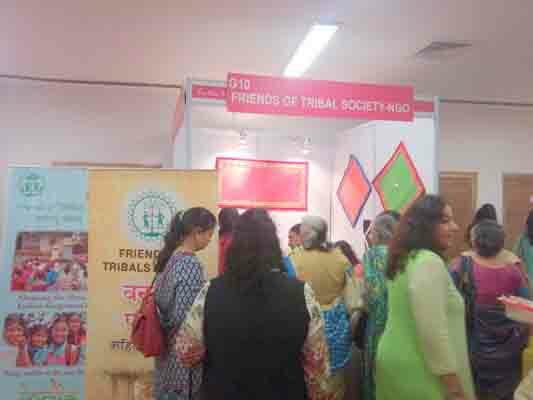 FTS Mumbai Mahila Samiti held a successful exhibition at NSCI SVP stadium on 1st and 2nd July'16.The phenomenal turnout was of great encouragement to our members. The hard work put in was amply rewarded and they were able to raise funds for our organization. The ladies of FTS Mahila Samiti Erode Chapter & all women’s Lions Club of Erode have united to serve the Children of India.The highlight of the program was lots of fun filled competitions, variety stalls for shopping, food stalls for taste buds, games for recreation, raffle ticket prizes & cultural programs etc. 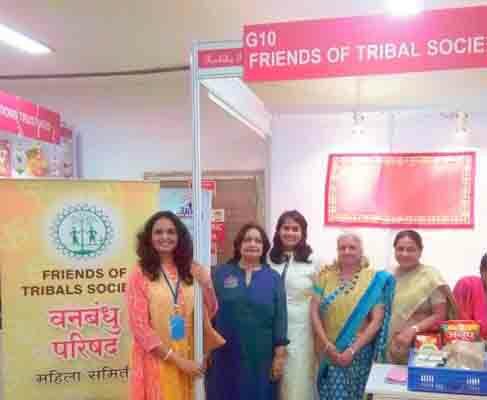 In this fair more than 75 stalls exhibited all kinds of goods from all over India and more than 4000 people visited the Fair in just two days. 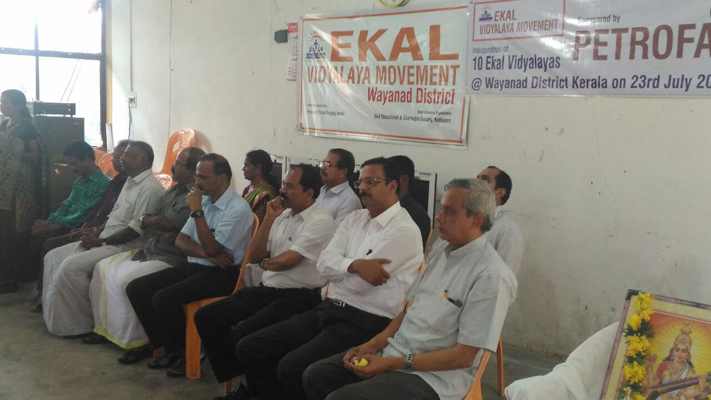 More than 100 Ekal full-time workers participated as volunteers to make this a successful event. It has been 4 years since we have been associated with Ekal Vidyalaya which serves the noble cause of educating children in remote areas of India. Since last one year my family and I were seeking the opportunity to experience the whole process. So during this annual vacation to India in July, our visit to Ekal Vidyalaya in Rajasthan topped the list and we were lucky enough to nail it. We visited Satka village where exactly the school is situated. A great experience that I am thankful to have had. We will definitely cherish this for a long time. 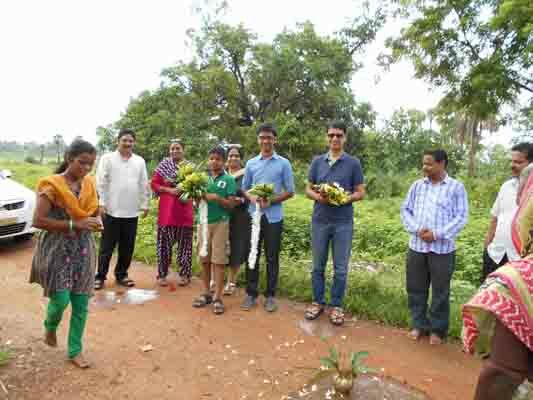 Satwikji from Dubai accompanied by his parents and brother Sri Seshan visited two Ekal Vidyalayas: Mundiaposi Vidyalaya of Rasol sanch and Bariharugudi Vidyalaya of Khajuriakata Sanch, Dhenkanal Anchal on 23rd July 2016. 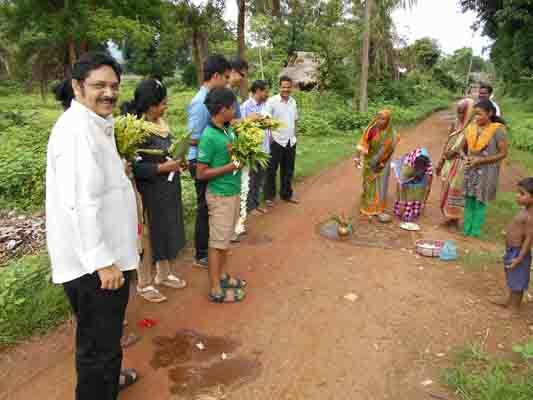 They were also joined by east Odisha bhag President Sri. Dayananda Ratho and Smt.Bijaya Ratho, Rasol Sanch President Sri. Hemanta Kumar Sahu and Sanch Prathmik siksha prabhari Sri. Manasranjan Nath. Satwik planted a mango tree in Acharya’s home.